Saranaz Barforoush is a sessional lecturer at the UBC School of Journalism. 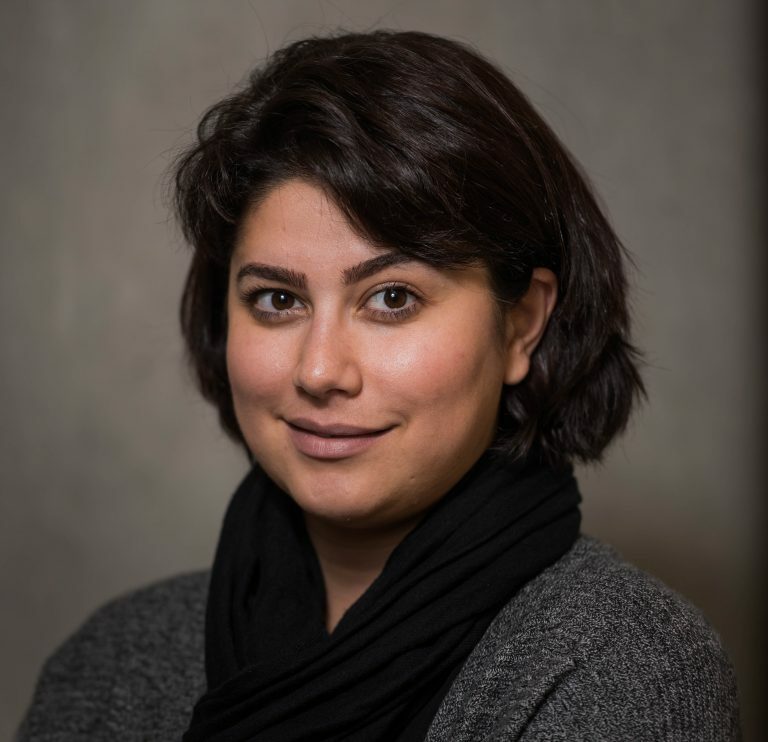 She completed her Ph.D. at the University of Maryland, College Park in 2017 with her dissertation, “The Dictator & The Charmer: U.S News Media Coverage of Chinese and Iranian Leaders.” Her research interests include foreign affairs, international reporting ethics, political communication, implications of new media technology on foreign news reporting, immigrant, and framing studies. After earning a Bachelor of Arts in journalism from Allameh Tabataba’i University in Iran, Dr. Barforoush worked as a reporter and translator for more than a decade in Tehran, where she reported on various subjects such as women’s issues, arts, culture and technology. She completed a Master of Arts in Cultural Studies and Media from the University of Tehran in 2008, where she studied the social effects in popular Iranian cinema before and after the 1979 Islamic revolution. After moving to the United States in 2011, she earned a Master of Science degree from Southern Illinois University in 2011, where she wrote a thesis on the news production of Persian television channels broadcast from Britain and the United States. She also worked as a public relations officer for SIUE’s School of Business and its Emergency Operation Center. At UBC, Dr. Barforoush has co-taught courses on integrated journalism, new media and society, social media and international reporting.